I read and reviewed the first part in this trilogy “Unrelenting” on this blog and interviewed Marion as well. Finally I managed to catch up with the series and find out where the story takes our protagonists. The novel begins with the wedding of intelligence agent Wilhelm Quedlin to Hilde Dremmer in 1936. “Q”, as WIlhelm is called, is part of the resistance against Hitler, but things become more tricky as the Nazi power grip intensifies. Their honeymoon to Italy is somewhat cut short when the political developments in Europe and Germany catch up with them and force them back into the resistance work. The book focuses much on the romance and feelings between the couple as well as on the historical aspects. The characters are easy to engage with and the difficulties and dangers of resistance work are well researched and documented. On the shorter side of a novel the early sections spend maybe too much time on the love part for my liking, but then the plot soon catches up and dips back into the suspenseful dramatic aspect of the story. Knowing that this is based on true events makes the whole novel much more intense and gripping. You should probably read the first part first, but it isn’t a must. The story as told can serve as a stand-alone novel. The story finishes with a powerful finale, making it all the more worth while. The third part is out already and on my tbr pile. 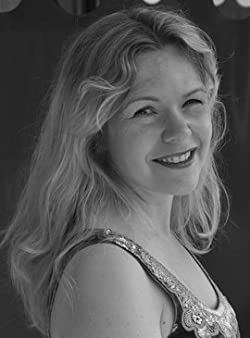 Marion Kummerow was born and raised in Germany, before she set out to “discover the world” and lived in various countries. In 1999 she returned to Germany and settled down in Munich where she’s now living with her family. After dipping her toes with non-fiction books, she finally tackled the project dear to her heart. UNRELENTING is the story about her grandparents, who belonged to the German resistance and fought against the Nazi regime. It’s a book about resilience, love and the courage to stand up and do the right thing. Marvelous, mindful review, Christoph. Thanks for sharing. Hugs. 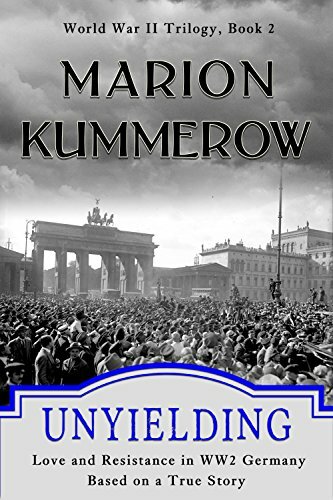 Check out the book, Unyielding Love and Resistance in WWII, by Marion Kummerow via Christoph Fischer’s blog.